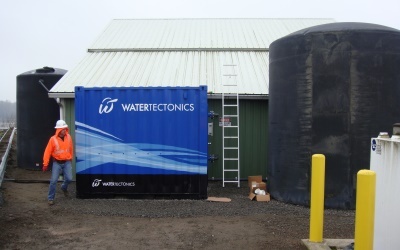 Whether faced with meeting regulatory compliance, achieving maximum water recovery, or tackling treatment system optimization, WaterTectonics delivers innovative industrial water treatment solutions to meet site-specific requirements for clients in a variety of applications including: industrial stormwater, industrial wastewater, process water reuse, and desalination to name a few. 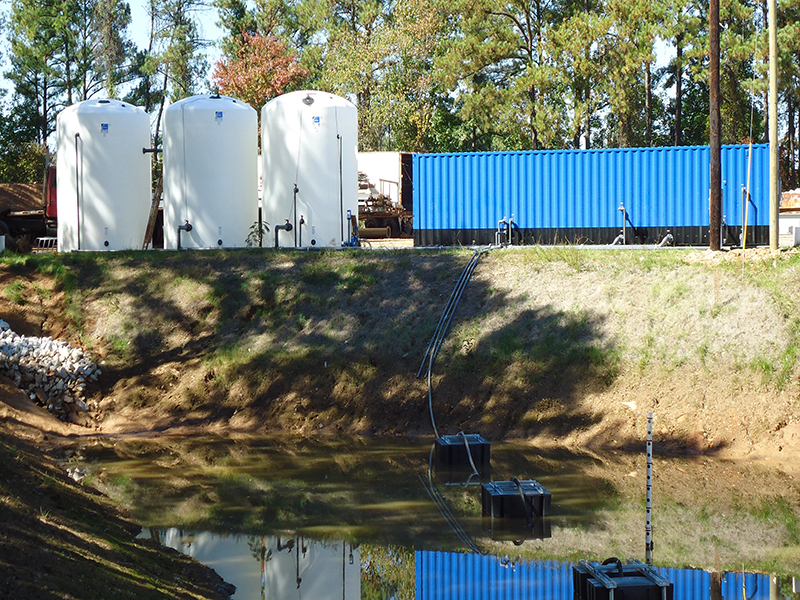 Our customizable industrial water treatment systems meet discharge permit requirements for parameters such as: turbidity, pH, heavy metals, oil & grease, bacteria, biochemical oxygen demand (BOD), chemical oxygen demand (COD), and more. 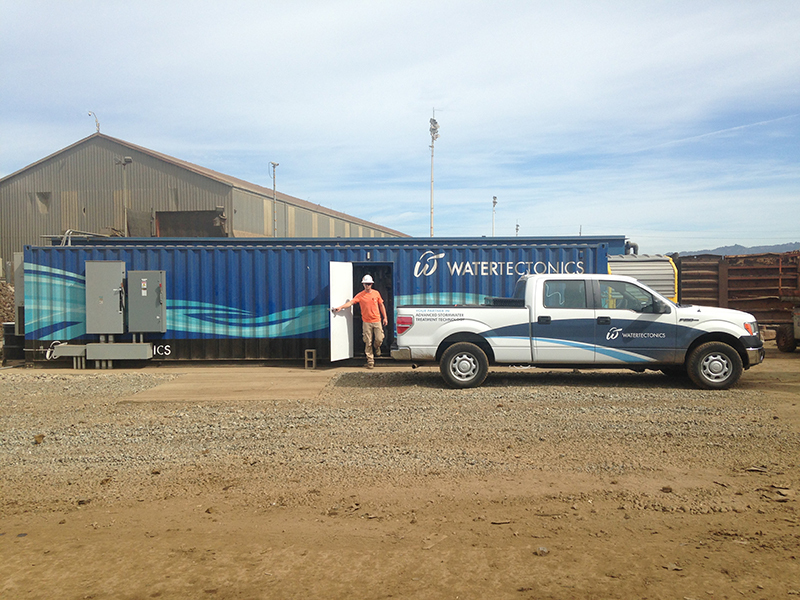 Clients in the food & beverage, galvanizing, scrap metal and processing industries appreciate our site-specific water quality approach along with field service and support to ensure long-term compliance as their facility and permit conditions change over time. At the beginning of every new project, we work closely with our clients and their partners to make sure we understand as much as possible about their water and their water treatment goals. 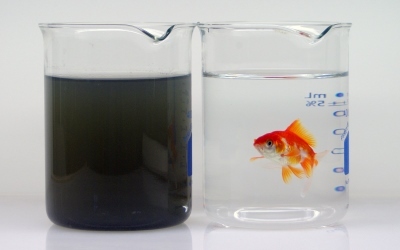 Once these are defined and the client ships us a small sample of their water, we test applicable treatment alternatives at our in-house research and design lab. These treatability studies can range from simple, single-pass treatments to complex research and development contracts. Once complete, we provide analytical results, treatment pictures, data analysis, and conclusions in a summarized report. 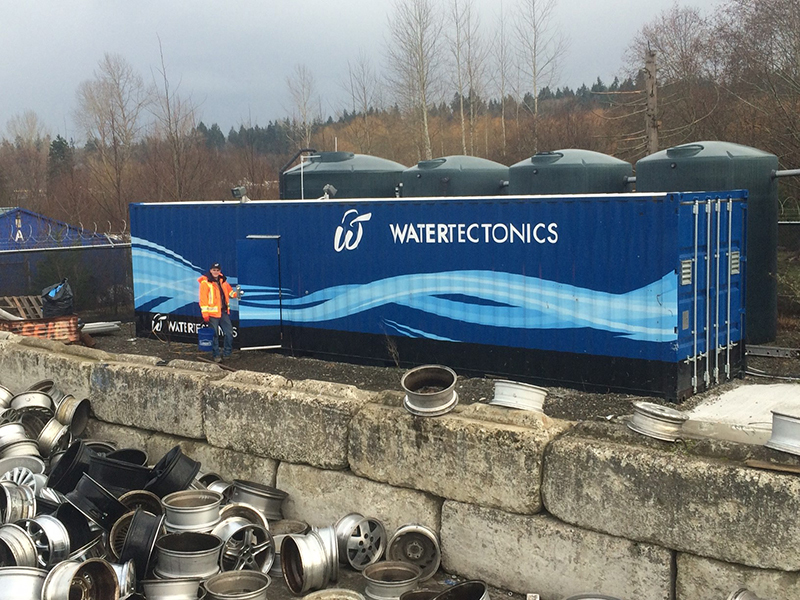 When you buy a treatment system from WaterTectonics, you’re not just purchasing a piece of equipment, you’re purchasing a long-term solution that meets an important need in your business. 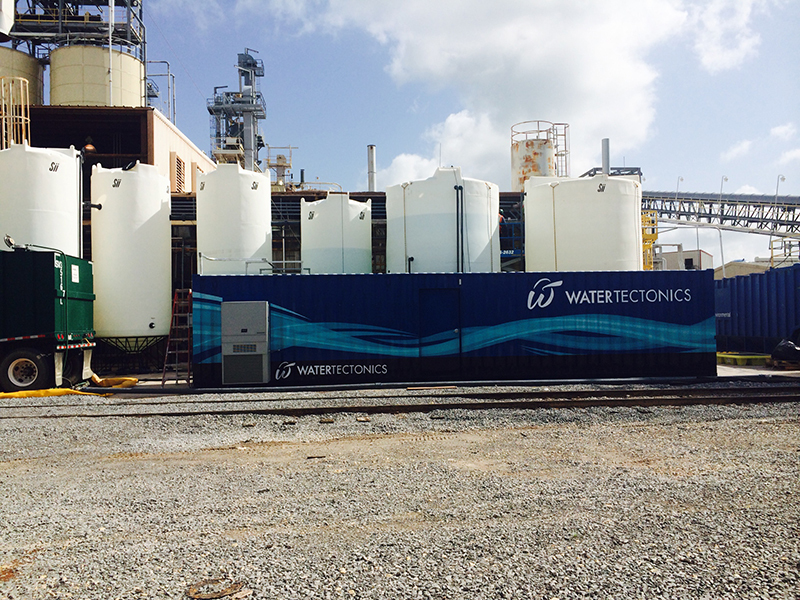 The WaterTectonics Performance Pledge program was designed to help ensure long-term client success on complex projects. 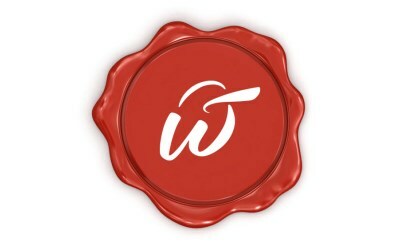 Each pledge is developed on a site-specific basis, and can be customized to meet the operational goals of your organization. Ultimately, if you meet your maintenance obligations, WaterTectonics will guarantee the performance of your treatment system or implement remedies at our own cost. 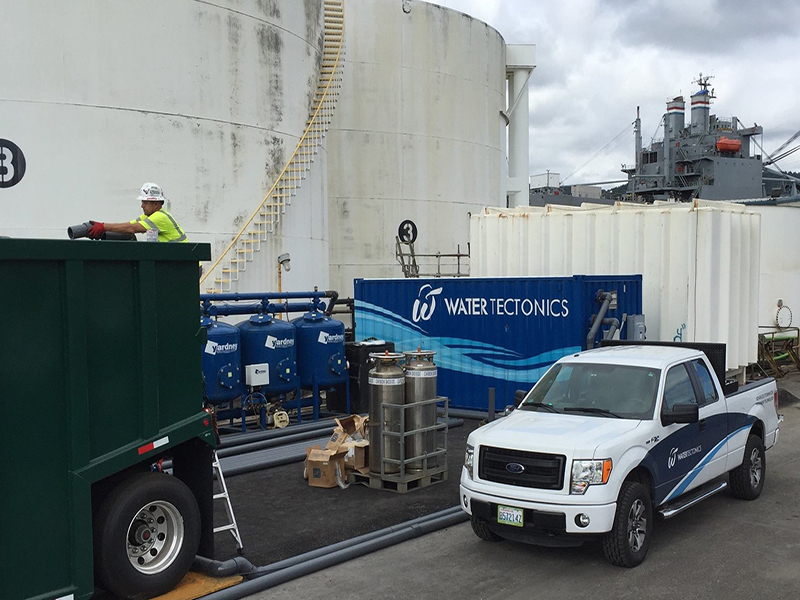 Throughout the life of your treatment system, the WaterTectonics field service team is there to support all your operations with remote and on-site support as needed, or through defined quarterly maintenance contracts. In the event that your needs change, permits are updated, new employees are hired, or your facility expands, our team is there to help you through these transitions and ensure that your water treatment program remains on track.